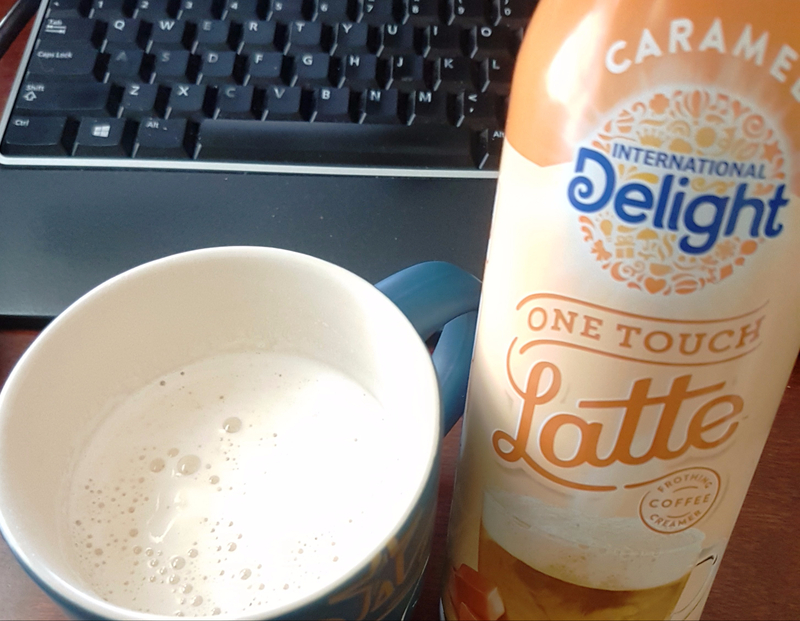 I received International Delight® One Touch Latte™ free through Crowdtap to facilitate my review. My review is 100% honest. I thoroughly enjoyed this new creamer. I found mine at Target along with the other creamers as you can see above. International Delight One Touch Latte froths your coffee through something like aerosol. I had to solicit feedback to use it properly and ID reached out to my Instagram directly to give instruction. You have to press firmly and forcibly on the white tip for it to rapidly shoot into your coffee to actively “froth” it before your eyes. I sampled the caramel, which was pleasantly natural tasting and sweet. The downside is that to get full flavor, you’d need to pump quite a bit and it only claims to hold 7 uses, which isn’t exactly worth it to me since it’s not real milk, it’s cold, and you will likely only get 5 with the amount required to give your coffee full flavor. It’s more for the frothing effect which is fun to sip through and taste in your coffee. I would like to try the vanilla next, I’m not sure the mocha would have a very good flavor, especially frothed as that’s not a frothed beverage to begin with (and don’t tell me “mocha latte,” that’s a sham of a drink.) Overall, it was a very fun concept and totally worth it if you’re looking to lighten up your mornings with something fun and easy at a fraction of the cost of a real latte from a coffee shop.